Dog Fences - Pet Stop - Dog Fence Installation and Service, Pet Stop Invisible fences in sonoma, Marin, Napa, East bay and the Peninsula. 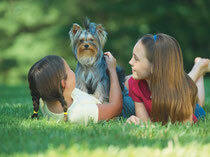 Keeping your dog happy and safe is what we do best. We have the experience and the technology to create the best possible containment fence for your dog. 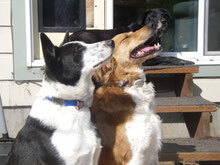 Our technology is the most advanced, most humane dog containment fence on the market. "If you can find a more advanced pet containment system than Pet Stop®, we will buy it for you"
Pet Stop® offers a wide range of Custom and Unique Patent Features. The UltraElite Receiver® is the smallest & lightest in the industry, weighing 1.3 oz. perfect for small dogs, rescue dogs and puppies. 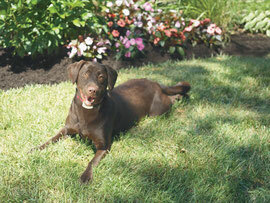 The UltraMax Receiver® was designed specifically for the stubborn or more determind dog in mind. Comfort Contacts®: Patent soft rubber collar probes will touch your cat's neck. Progressive levels of correction: Mild increases in level of correction. Safety Shut off: Prevents false shock. Our technology will recognize if your cat were to ever get stuck in a zone. Wide Range of Set Backs: Only the Pet Stop® brand Transmiter offers a multiple range of setbacks. We can have a set back as low as 6 inches from the perimter as far away as 12 feet. All dogs are unique in their own way just like owners, they have different needs when it comes to containing their pets. recommendations for a pet fence. Please Contact Us for more information or to get a FREE Estimate.